Steven Burke showed no ill-effects from riding two major championships in the space of one month to return to the UK and take the national pursuit title on Thursday night. Riding in 100% ME colours, Burke posted a time of 4:25.014 in the gold medal final to beat Rob Hayles (Halfords Bikehut) by just over two seconds. Cycling Weekly?s own Michael Hutchinson took the bronze. It was Burke?s second gold medal in just over a week following his gold medal ride in the team pursuit at the European championships in Poland. Before that Burke had been one of the revelations of the Olympics, taking bronze in the individual pursuit having been told he was riding the day before. Matt Crampton ran out winner of the men?s sprint, beating old hand Craig MacLean. Neither Chris Hoy nor Jason Kenny were present leaving those who had missed out on an Olympic spot to fight it out for the medals. David Daniell took bronze. Hannah Rich ran out winner of the women?s scratch race on the third day of competition with Alex Greenfield and Lucy Martin making up the podium. Olympic Champion Victoria Pendleton had started the race but didn?t finish. 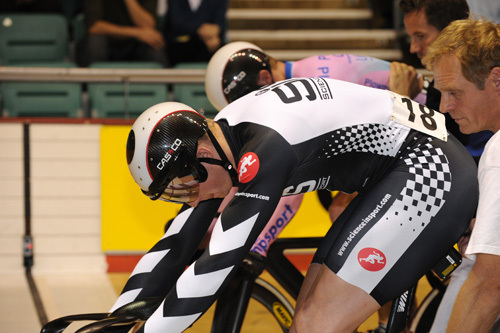 The British national track championships run until Sunday September 20 at the Manchester Velorome. More news and results in next week’s Cycling Weekly. 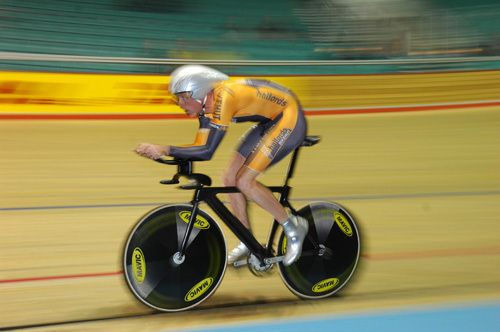 Olympic bronze medalist Steven Burke in full flow as he rides to gold in the individual pursuit at the 2008 British national track championships. Steven Burke gets in the zone before his gold medal ride. Halfords Bikehut rider Rob Hayles chases Steven Burke to no avail. But it’s not a bad time considering Hayles only finished the Tour of Britain last Sunday. 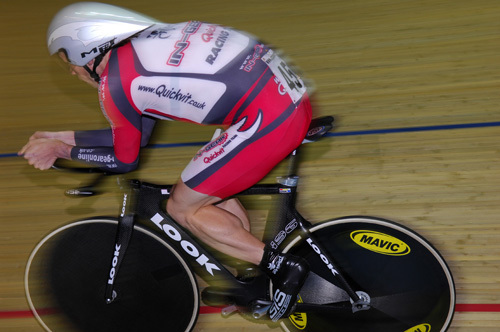 Cycling Weekly columnist Michael Hutchinson wins the bronze medal final in the men’s individual pursuit. Matt Crampton lines up against Craig MacLean in the men’s sprint final. 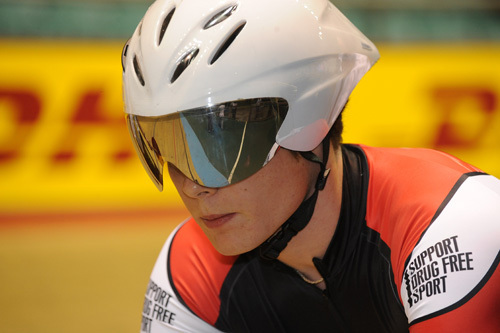 It was the SIS rider that came out on top, obviously still on form following European track champs. 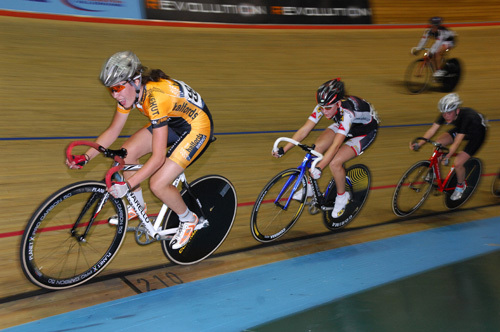 Halfords Bikehut rider Emma Trott leads the field in the women’s scratch race. Queen of the track Victoria Pendleton tried her hand at the scratch race. 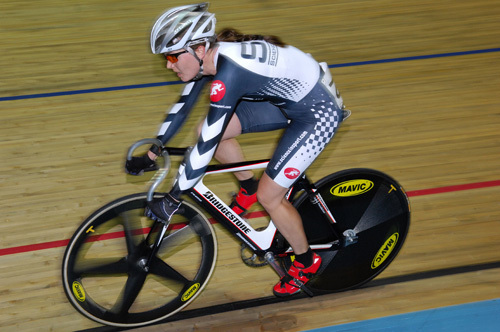 She’s already won the national sprint title at a canter with the keirin yet to come. 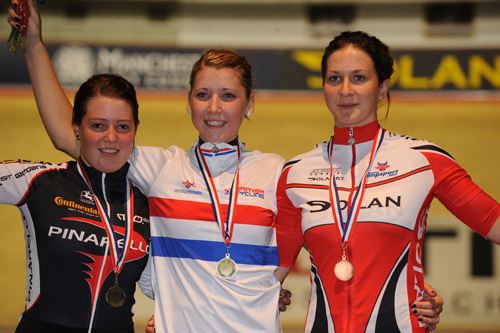 Hannah Rich (centre) of the Pinarello team came out on top in the women’s scratch race. Team mate Alex Greenfield recovered from an earlier crash to take silver while Lucy Martin (on the left) took bronze. All pictures by Andy Jones.